The closest Filipino restaurant to our house (that we know of) is not walking distance and that's saying a lot because Vancouver is a walkable city. It's 18 minutes via bus or 35 minutes via walk. I grew up in the Philippines and somehow it will always be home. I love Filipino food and cook at home but there are dishes that are just too complicated to cook that eating out is always fun. Jomar and I tried Josephine's Restaurant and Catering one Saturday for lunch. It's beside another Filipino store, Aling Mary which has freshly baked Pandesal (yum!). When you're walking along Main Avenue, you can actually smell the freshly baked bread. It smells so good! The food is awesome. We tried as many type of viand as we could because they have a combo of 2 viand plus rice. We even needed an extra rice because we ordered too much. Plus, turon! 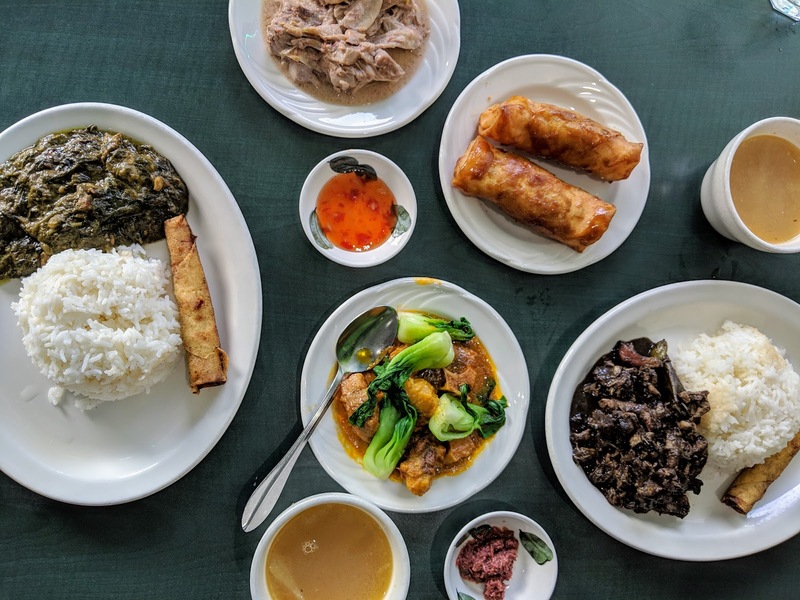 I will definitely come back because this is the closest place I could have all the Filipino food I love and grew up with. Kain tayo! We'll be back home in a week!